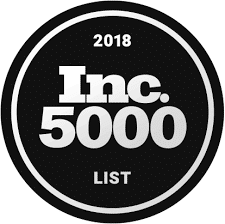 Syndeo Outsourcing is again on the Inc. 5000 list of the fastest-growing private companies in the U.S.
Wichita-based Syndeo landed at No. 3,147 on the annual Inc. list with a three-year growth rate of 126 percent. This marks the second-consecutive year the company, which provides human resources consulting and outsourcing, employee benefits administration, payroll services, workers’ compensation and staffing, is featured on the list. Syndeo is among eight Wichita-area companies on the Inc. 5000 list and one of 31 Kansas businesses that are ranked. This year’s list – limited to U.S.-based companies – is based on percentage revenue growth from 2014 to 2017. Companies needed to have a minimum of $100,000 in revenue in 2014 and at least $2 million in 2017 to bed considered for the list. The companies on the 2018 Inc. 5000 list had a combined revenue of more than $206.2 billion in 2017, according to data compiled by Inc.
Syndeo, meanwhile, is a regional leader in providing outsourced human resources services. Its family of companies consists of Syndeo Outsourcing, a human resources outsourcing (HRO) provider; Syndeo Payroll Solutions, a full-service payroll services provider; and Syndeo Staffing, a full-service recruiting and staffing services provider. Founded in 2002, Syndeo now employs 39 people across two offices, the second in Kansas City. Syndeo serves clients in variety of industries including manufacturing, hospitality (restaurants and hotels), health care and auto dealers. Syndeo is one of 35 companies nationwide designated through the IRS as a Certified Professional Employer Organization (CPEO). There are 907 PEOs across the country, according to the National Association of Professional Employer Organizations.